L-R; Staff Sergeant Cameron R. Bornowski, US Army; Staff Sergeant Joshua A. McCorkle, US Marine Corps. In-service military personnel and their families can enjoy a free vacation on the shores of Clear Lake thanks to Tents For Troops, Clear Lake Campground and Keystone’s Springdale travel trailers. On Thursday, July 5, Redwood Empire RVs in Ukiah delivered a brand new Springdale travel trailer to the family-owned resort in support of this program while Operation Tango Mike’s Ginny Craven, Staff Sgt. Cameron Bornowski, US Army and Staff Sgt. Joshua McCorkle, USMC observed as the brand new RV was settled in its lakeside setting. Tents for Troops gives in-service military personnel a free getaway as a thank you to their service to their country. Clear Lake Campground petitioned to be part of this program which set the ball in motion for Keystone RV to contact Redwood Empire RVs in Ukiah to deliver a 2019 Springdale trailer to facilitate this deserved getaway for our in-service military. Clear Lake Campground is located on the shores of Clear Lake, the oldest lake in the US and one that offers all sorts of year-round recreation including boating, fishing, hiking, world-class award-winning wines and more. There are several military bases within a few hours’ drive of Clear Lake and many military personnel hail from the area so it’s a great way to enjoy a vacation close to home. “We were really honored when Keystone selected us to prepare and deliver the trailer,” said Perry Bates, owner of Redwood Empire RVs. “This is a way to recognize the hard work of our military personnel and give them a little R&R in a beautiful setting.” Redwood Empire RVs serves Northern California with a variety of Keystone-branded RVs as well as Forest River’s Flagstaff, Cedar Creek and others. 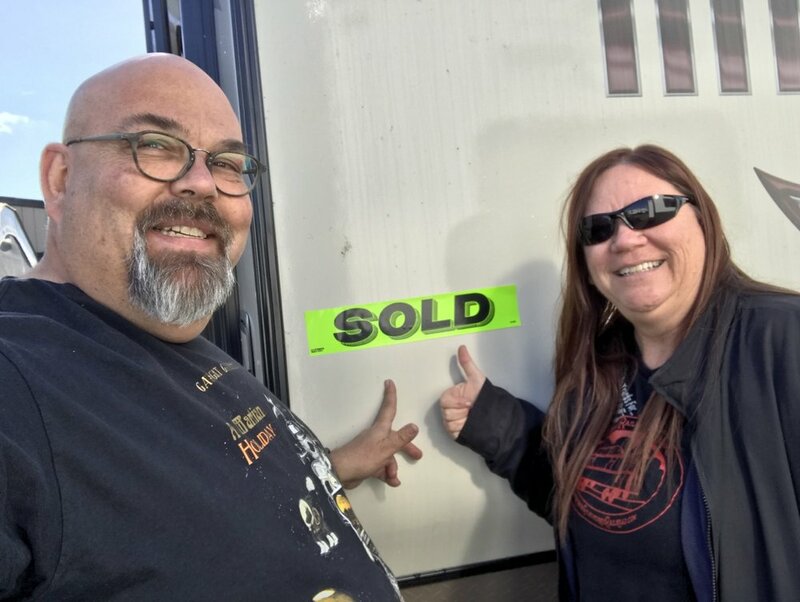 Many RVers have repeatedly returned to the dealership with their families to extend their RV experience to multiple generations.